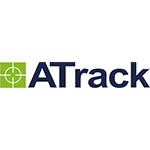 ATrack is a developer and manufacturer of telematics equipment. The company was founded in 2010 in Taiwan. Nowadays ATrack closely cooperates with major companies in the area of M2M technologies and expands client network. ATrack products are used for vehicle management and control, as well as for stationary assets tracking. Most of ATrack devices are integrated with Wialon. The chart below shows the changes within the last 30 days in the number units of ATrack devices type are connected to Wialon Data Center.